If you ever struggle to think of what to get your partner on your wedding anniversary, then it can help to look at the “traditional gifts” assigned to each year. Paper is for a one-year anniversary, for example, and they get more special as they go on with crystal for 15th, ruby for 40th, and gold for 50th. Now, it might be difficult to think of something nice to get your loved one made out of paper for your first anniversary, but you can look forward to the third anniversary which is leather! There are lots of ideas for nice, thoughtful leather gifts you can buy for your partner, and ones that they’ll use. But first, why exactly is the third anniversary signified by leather? Why is the third anniversary leather? The list of traditional anniversary gifts are said to connect to the amount of time the couple has been together and what this signifies. So, as the couple spends more years together, their bond becomes stronger. Therefore, the material gets stronger to reflect this, all the way from paper to diamond in 60 years of marriage. Once a married couple have been together for three years, their bond and their relationship has shown that it can last, so the material for the gift becomes stronger and more durable. Leather is a big step up from paper and cotton in terms of durability and resilience, signifying that the couple’s relationship can stand the test of time. Check out this article by The Spruce for more on the history of traditional anniversary gifts. 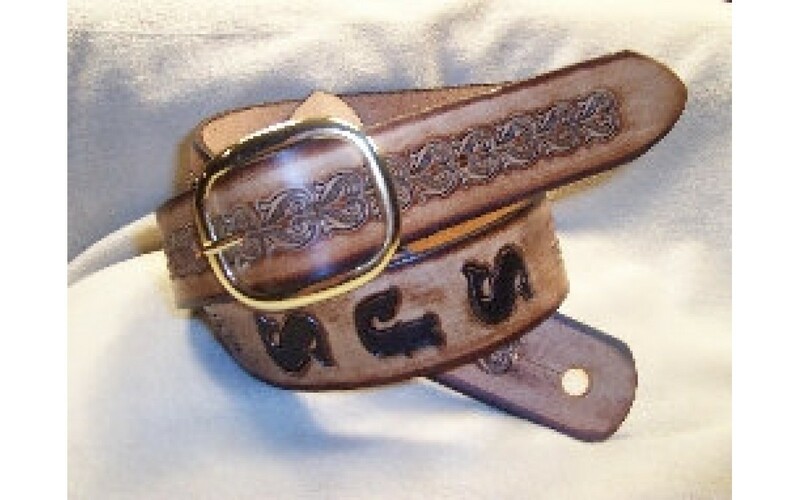 Leather belt – Leather belts are timeless and can be bought in any style and design to suit your partner’s fashion sense. What better gift than something they can wear out on your anniversary date night? 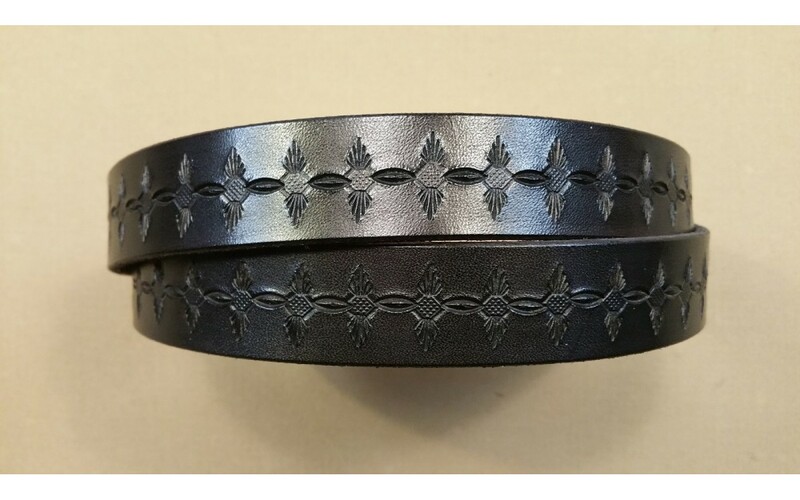 Guitar strap – If your husband or wife is the musical sort, then a custom, leather guitar strap is an extremely thoughtful gift that they will cherish. You can find them in a variety of style to suit their tastes and playing style. Pet collar – This may seem like a strange gift to give a person you love, but it will become much more special if it goes along with you buying a pet for your spouse. Getting a pet together is something else that shows your intention towards commitment, and it will go down very well if your spouse is an animal lover. If you’re worried that your leather anniversary gift to your partner won’t be personal enough, we have you covered. We create personalized leather gifts so you can say what you want with your gift giving. Check out our range of custom leather goods online, available for delivery nationwide.